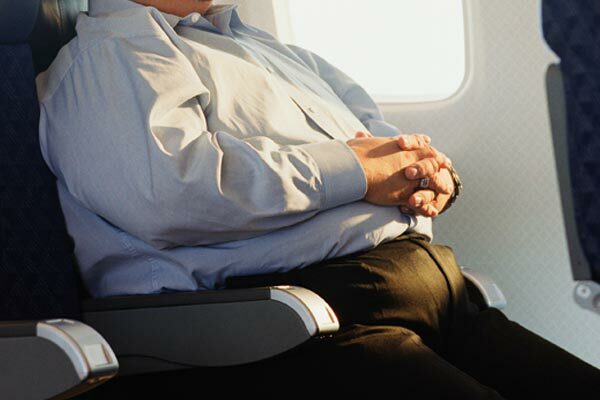 Uzbekistan Airways to weigh passengers: ‘If you’re too fat you can’t fly’. Home Scandal and Gossip Uzbekistan Airways to weigh passengers: ‘If you’re too fat you can’t fly’. Will you soon be paying extra to fly to Uzbekistan? Uzbekistan Airways has launched a new controversial policy in which the airline will weigh passengers before allowing them to board its aircrafts. In its announcement, the airline said that all passengers will have to stand on special weighing scales set up within departure gate zones with their luggage after checking in. Passengers will be put in three categories – men, women and children. What weight restrictions the airline will choose to use for each category has yet to be specifically explained. The company, based in Tashkent, according to a released statement has promised not to reveal the weight of passengers. Nevertheless the airline has affirmed that some overweight passengers could be excluded from busy flights on smaller planes if limits are not exceeded. The company said they needed to know the weights of both people and their luggage because it was important, especially with smaller planes. In a statement they said: ‘Uzbekistan Airways airline is carrying out the procedure of pre-flight weighing in order to determine the average weight of passengers with hand luggage. ‘According to the laws of the International Air Transport Association, airlines are obliged to carry out regular procedures of pre-flight control such as weighing passengers with hand luggage in order to observe the requirements for ensuring flight safety. ‘After passing check-in on a flight and prior to boarding into the aircraft, we will ask you to pass the weighing procedure with a special weighing machine placed in the departure gate zone. ‘The weighing record will only contain the corresponding passenger category (i.e. male/ female/ children). As for the rest, the full confidentiality of results is guaranteed. The announcement comes after Samoan Air became the world’s first airline to charge passengers according to their weight in 2013. This helped manage its on-board weight effectively and enabled costing plans to be more streamlined. If I’m not mistaken, Samoans are some of the most overweight people in the world.